Forrest Gump, the movie, greatly impacted me when it came out several years ago. That expression has almost become an icon in our culture, and I’m sure it has helped those who resonate with it deal with what life has “given” them. Even so, I can’t say that I 100% agree with this message. I like to believe that I’m gonna get from life what I put into it. To me, “Life is like a garden. You reap what you sow.” But my point is that expressions, positive or negative, go a long way in establishing patterns of thoughts and belief systems, many of which ultimately “run” our life. What is the main belief system or thought pattern that you have about your small business? We consciously or unconsciously entertain many thoughts and beliefs, and for the most part we are not very aware that these thought patterns are impacting our reality. But they are literally giving birth to action and through these actions, our thoughts and belief systems create our reality!! What if we related to thoughts and belief systems as the seeds with which we are planting the garden called our business? I’m sure you’ve come across this garden analogy many times. Let’s dig into the weeds with this idea and discover how we can reap the kind of rewarding harvest from our efforts that we so desire. Think about what allows the most accomplished gardeners to have an amazing harvest. Do you think they chose fertile ground in which to plant? Do you think they thought about what they wanted to grow and for what purpose before they tilled the soil? Do you think they pre-designed their garden and mapped it out? Do you think they selected their seeds and placed them in sections in the garden according to their need for more sun or more shade? Do you think they purchased seeds of high quality from reliable sources? Do you think they spent time pulling weeds and protecting their garden from pests? I hope you answered yes to all these questions! And I hope you realize, too, that there do exist many gardens that have had no planning, no design and no purpose. They have their own beauty and allure. What kind of garden is your small business? 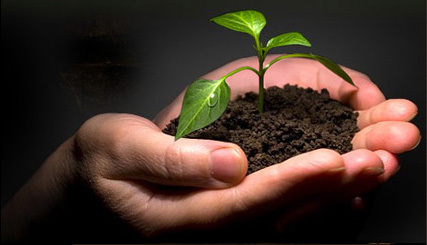 If you expect your small business to succeed, you must plant within it the seeds of success. And you must maintain your garden by daily pulling the weeds (negative thoughts), watering it with fertilizing nourishment (positive thoughts) and finally, harvesting its bounty at the right time, when it is ripe for picking. 1. Make an inventory of the virtues/qualities/attitudes that you want to bring into your small business, whether you believe you possess them or not. "Definitely the best decision I could have made. To get a great job you need not only an excellent resume, but you also need to understand what you are good at, what are your skills and in what kind of jobs and companies you will succeed. Aldebaran Associates' coaching services really helped with all these…"